In Good Behavior, Michelle Dockery's a Junkie Who's Dating a Hitman. Say Goodnight, Lady Mary. No, really, says Michelle Dockery, there is kinship between Lady Mary Crawley, whom she played on Downton Abbey, and Letty Raines, whom she plays on TNT's upcoming Good Behavior. 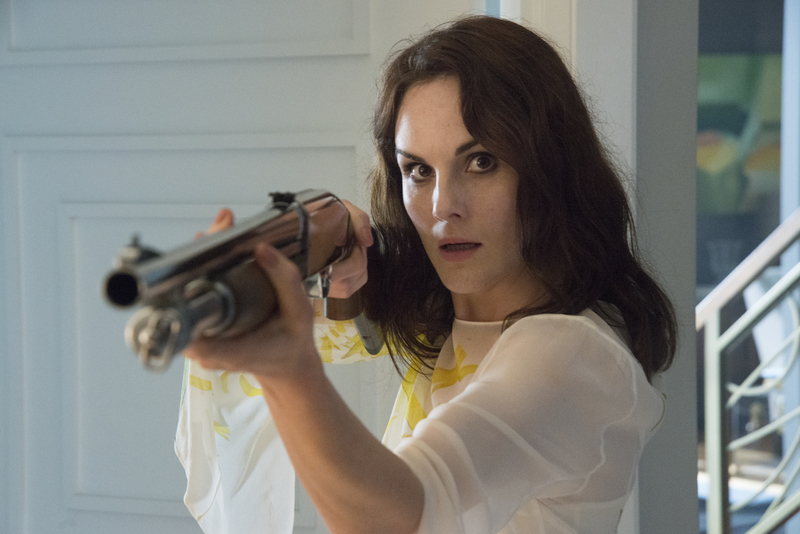 Dockery presumably is not referring to the scene in the first Good Behavior episode where Raines sits in her underwear in a low-rent hotel room, smoking herself into crack cocaine oblivion just before the man from whom she has stolen $50,000 bursts into the room and jams a gun in her face. I just don't seem to remember that ever happening in Downton Abbey. Dockery did acknowledge to TV writers in Beverly Hills Sunday that Good Behavior, which premieres Nov. 15, has a different ambience, and she says that's exactly what she wanted. "I was fortunate that something so different from what I did for the last six years came my way," she said. "When I read the script, I fell in love with the character and the story. "It was like nothing else I'd ever read before. Letty is exhilarating. She's so raw and fascinating to play. I've loved every minute of it, and I hope it continues." So does TNT, which like other Turner networks is transitioning from mostly breezy dramas to tales that are darker and more intense. But executive producer Blake Crouch, on whose novella series Good Behavior is based, told writers this isn't just an extended girl-gone-wild video. It's really a love story, he said, which begins when Letty meets the man with the gun, professional hitman Javier (Juan Diego Botto) (above). Needless to say, it's a rather different kind of love story than that of Lady Mary and Matthew Crawley in Downton Abbey. This time he's a killer, while she's a thief and a junkie. So they have some issues to work out. "It's two lone wolves who crash into each other and are trying to redeem each other," says executive producer Chad Hodge. "It's a totally f---ed-up love story." If their path gets rocky, though, says Hodge, it will also include a lot of humor and significant interaction with several other characters, including Letty's parole officer Christian (Terry Kinney) - did we mention she just got out of jail? - and her mother Estelle (Lusia Strus). Estelle has custody of Letty's son Jacob, a situation that Estelle feels has saved Jacob's life and Letty feels has deprived her of her son. It's a point of some tension, while incidentally proving that there are parents who see even less of their children than British royals. "The mother and daughter story is wonderful to watch," says Dockery, adding that the obstacles Letty faces are where she becomes reminiscent of Lady Mary. "They're both strong women," says Dockery. "There are parallels there." 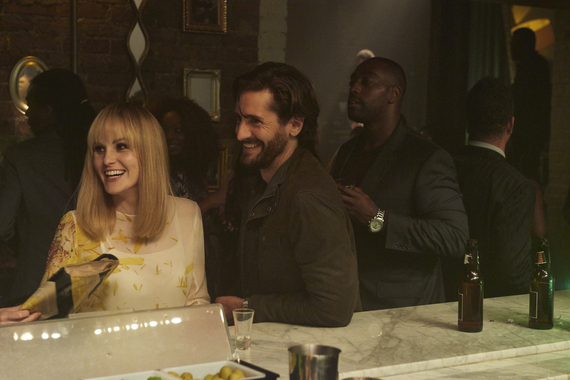 Viewers can weigh in on that matter come November, when Good Behavior starts its 10-episode first season. And while Dockery will likely draw the most attention at the start, don't be at all surprised if Botto quickly becomes a prominent part of the conversation. He's going to sneak up on many viewers even without a gun.